Sharp down fall witnessed today. As rupee weakens against dollar we can see more selling pressure, nifty closed below 8050 shows more downward movement is expected we may see 7950-7900 level in coming days. No buy, sell on rise will be a best strategy. 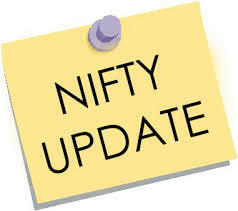 Markets dragged down today, we may see more selling below 17300, and bank nifty may touch 17100-17000. Above 17300 major resistances will 17550. A broad based decline was witnessed on the domestic bourses on the first trading session of the week today, 8 June 2015, as an upbeat US jobs report raised expectations of early rate increase by the Federal Reserve. Higher US interest rates will reduce the attraction of riskier emerging-markets assets. 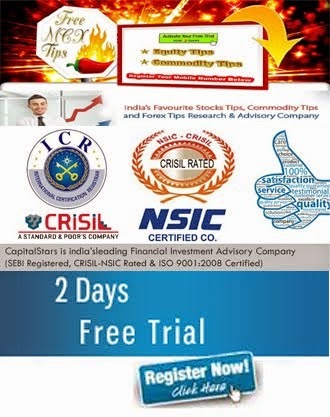 The barometer index, the S&P BSE Sensex, and the 50-unit CNX Nifty, both, hit 4-1/2-week low at the fag end of the trading session as these two key benchmark indices extended intraday losses. Meanwhile, global credit rating agency Moody's Investors Service reportedly said today, 8 June 2015, that below-normal rains would be credit negative for India's ratings as it would lower farm output and stoke food prices. Key benchmark indices languished in negative zone almost throughout the trading session today, 8 June 2015. Metal and mining stocks declined after China's imports tumbled at a greater pace in May, stoking concerns over a slowdown in the world's second largest economy. China is the world's largest consumer of steel, copper and aluminum. 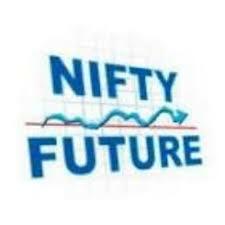 Vedanta (down 2.95%), JSW Steel (down 0.92%), Tata Steel (down 2.81%), Steel Authority of India (Sail) (down 1.25%), National Aluminium Company (down 4.26%), Hindustan Zinc (down 0.62%), Hindalco Industries (down 1.92%) and Jindal Steel & Power (down 3.09%) edged lower. 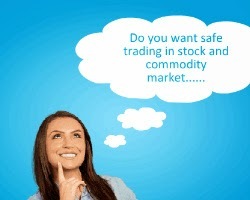 Hindustan Copper (up 6.01%) and NMDC (up 0.79%) rose. Sun TV Network lost 21.76%. With reference to the media reports captioned "MHA denies clearance to Sun TV channels, may go off air", Sun TV Network during market hours today, 8 June 2015, clarified that no communication has been received by the company in this regard from any ministry and all the company's channels continue to be on air. The stock price fell sharply after media reports indicated that the Ministry of Home Affairs has struck down the proposal by the Information and Broadcasting Ministry for giving security clearance to company's 33 television channels.